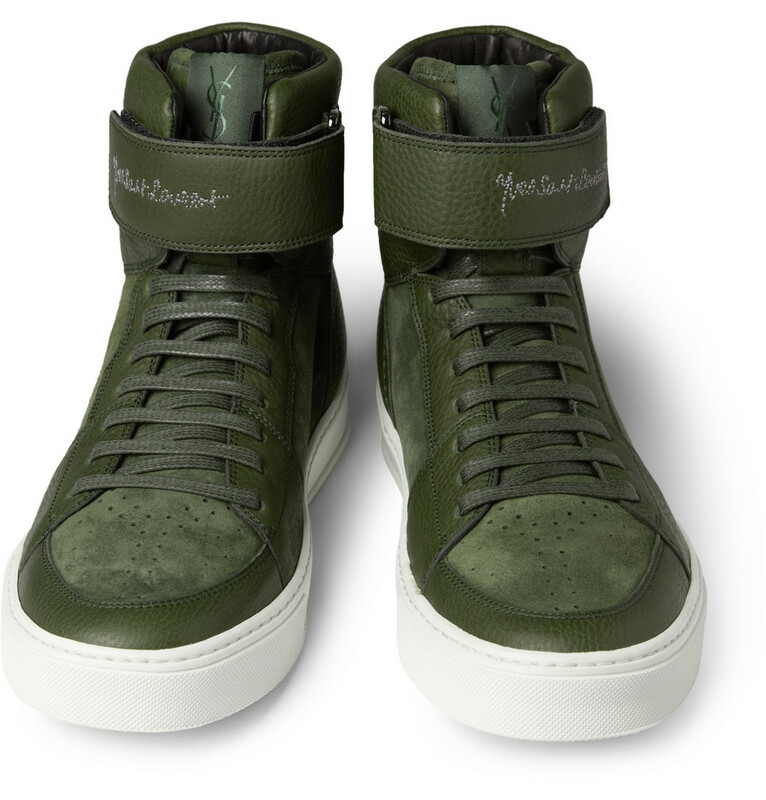 Give your urban outfits serious edge with these Yves Saint Laurent high top sneakers. With contrasting textures of leather and green suede, this pair shows a refined approach to a sporty style. Keep the focus on the progressive design by teaming them with slim-fitting black denim ($595).